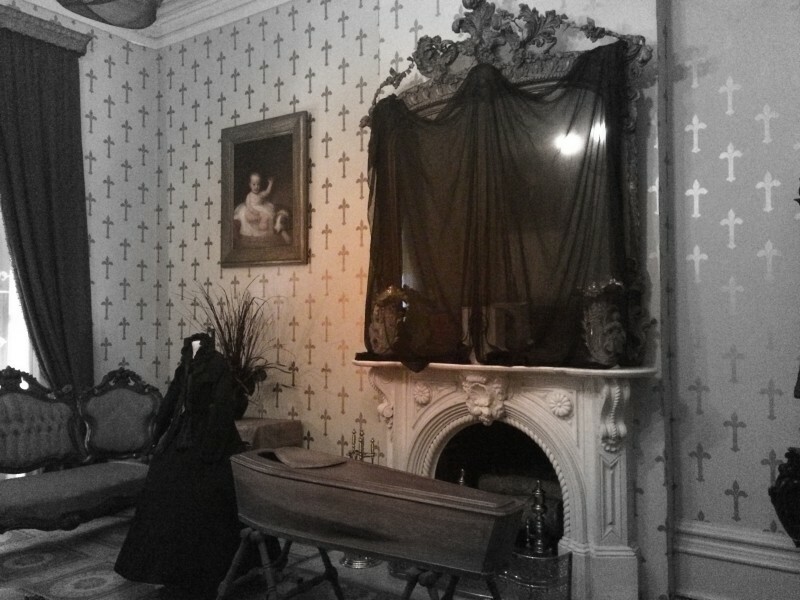 The clocks are stopped at the hour of death, the curtains are drawn and the mirrors draped in black…come explore the unusual mourning customs and creepy superstitions of the Victorian era at Oaklands Mansion from October 19th till 31st. Guided tours of the mansion with our mourners are available from October 19 till 31, 2018, during regular visiting hours, Tuesday – Saturday 10:00AM – 4:00PM and Sundays 1:00PM– 4:00 p.m., with the last tour beginning at 3pm. Regular admission rates apply. For reservations and rates for groups, contact Mary Beth Nevills, Educational Director of Oaklands Mansion. “Oaklands is the perfect example of a hands-on teaching tool. The rotating exhibitions allow us to alternately show the joy and the pain experienced on the plantation. Mourning customs exploration allows us to show what a drastic cultural change our society has experienced when mourning the loss of a loved one,” says James Manning, Executive Director of Oaklands Mansion. During this special in-house exhibit be sure to enjoy other events at the mansion such as, Flashlight Nights which will take place Friday & Saturday, October 26th and 27th from 7:00-10:00PM. These special tours will come to an end on Halloween night as the mansion is set to receive spooky visitors for Trick-or-Treating at 4pm until all the candy has been given away. Visit our website and Facebook page for times and ticket information for all of these spooky events.